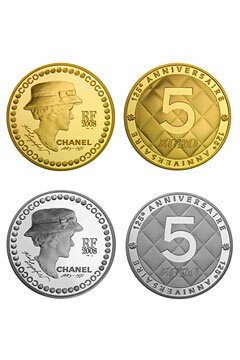 One week til the special Chanel coins come out! Yeah…I know, commemorative coins are kinda an old lady thing but…*whispers*…I actually want these. I’m not entirely sure why, or what I would do with them though. Perhaps collect them? Anywhoo, they’re just so cute, they were created to celebrate the 125th anniversary of Gabrielle ‘Coco’ Chanel’s birth and feature the designer, Karl’s signature and the label’s signature quilting effect. I go to Sydney quite a lot, and there’s always a new brand or store to discover there. Of course there are always the old reliable ones, Sass & Bide are definitely one I keep going back to as are Ksubi…or Tsubi as they were known when I was last there. I never actually got round to buying a pair of jeans, I kept umming and ahhing trying to find the perfect pair to squeeze into my already overpacked suitcase, I had it narrowed down to four though! Luckily for me, they have a pop up store coming to London in 2009, after hitting Brisbane and Sydney…! Hot on the footsteps with shots of Madonna leaving her campaign shoot are images of Katie Holmes leaving her rumoured Miu Miu Spring 09 shoot. She will be joined by 8 unnamed models. Her eye makeup look gorgeous in the picture (and I’m not even a makeup girl!) but little Suri is even more gorgeous, check out the mini fashionista’s ruby slippers! 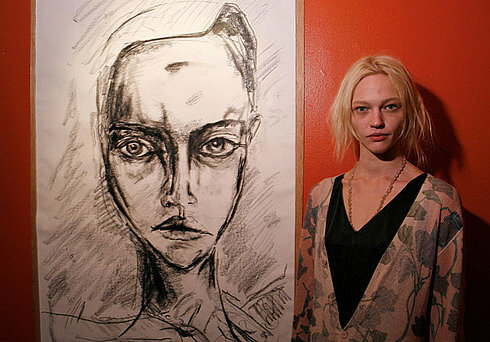 Courtesy of Sasha Pivovarova. Following on from her first ever photography and drawing exhibition during NY fashion week in February, Sasha is working on a book of nymph drawings with Prada’s backing. The coins are cute–they should make them into pendants! Suri Cruise! So cuute! I wonder how Katie will look like in that campaign. Hi there-love those jeans!! Katie looks cute too. Hope you are better now! Gosh, i was in Sydney last week, and I loved the city. It was such a fashion fix, with delightful discoveries all over. I love the coins. I am seeing them everywhere. I agree, they would be such lovely pendants. Ooh the coins as pendants idea is really cool!Doesn’t Kate look like quite the cool mom in that photo? Though I feel she has been overshadowed by little Suri’s ruby red flats. Cute!